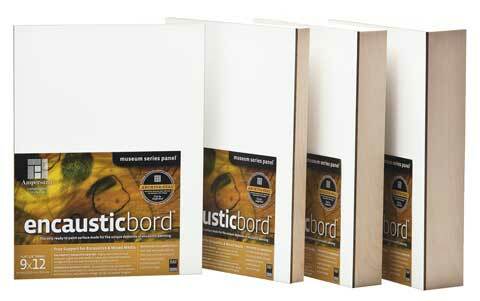 This board features a ready-to-use surface created for the unique demands of encaustic painting and mixed media. A heat-resistant ground is applied to Ampersand's sealed Hardbord panel to form a bright, smooth and velvety surface. The ground is highly absorbent and it holds tight to layers of wax and collage without of cracking or separation. A variety of mediums can be used on the boards to create incredible textures, colors and patterns. They are also great for mixed media, collage and photo transfers. The flat panels are available in .125" and .25" profiles and the cradled panels are available in .875", 1.5" and 2.125" profiles. The cradled panels are made with Baltic birch cradles that can be waxed, painted, stained or left natural.